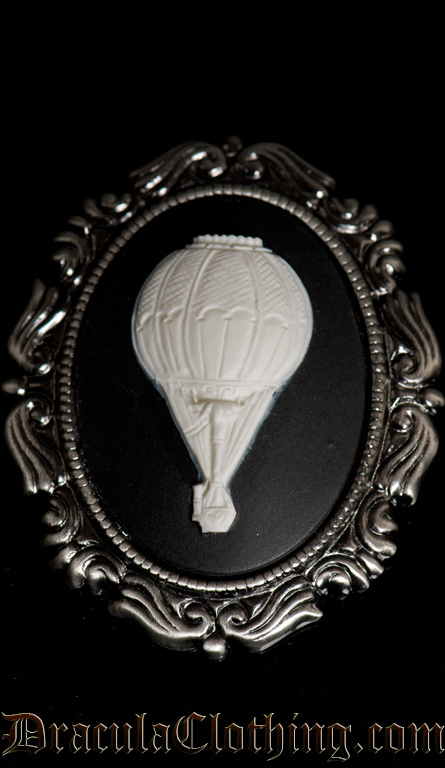 Air Balloon Brooch, use it to fasten your clothing or as an accessory. Cameos are an easy way to make your outfit more special! A DraculaClothing original, by Truls Stokka.